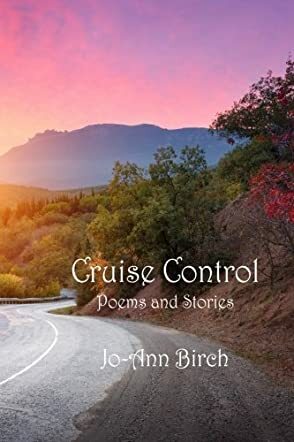 In the poetry collection Cruise Control by poet Jo-Ann Birch, you will be gifted with an array of poetry that covers the whole gamut. From paintings to memories, you will find yourself in environments so different from the next, but told in such a language that it absorbs you fully into the page. The stories that are sewn in along with the poems are beautiful; you can feel their reality. There is brutal tenderness and honesty in these pages that at times might make you blanch or wince. “The Truth About Santa,” in particular, might break your heart, so be mindful. Jo-Ann Birch's Cruise Control reminds me so much of my own past, small aspects of it line up. It makes me yearn for the days when I was young again, so that I could experience the laughter of my father, as opposed to the angry man he seems to have become in his old age. I feel as though I'm taking a peek at my future without my father through these pages, which is an eerie feeling to have. There are so many poems that I love in this collection, poems that speak to me, one of them being "When I First Heard the Truth." The poems that specifically revolve around her father really hit home with me, and I get stuck inside them. If you are looking for poetry that will reach inside and engage your soul before throwing it back out as though you've been on a long life road trip, then this is the book for you.